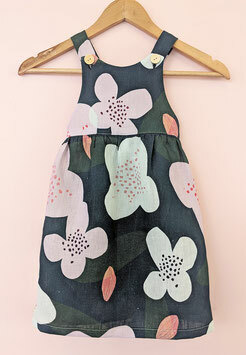 Perfect all year round pinafore dress. The sizes are generally based on age, so that's size 1 for 1 year old, 2 for 2 year old etc... Of course there can be a bit of variation is sizes across the age of different babies so if your unsure it's safest to go for the next size up. Little ones grow so quickly it's always good to have something to grow into.